I have been visiting Badgers Holt now for quite some time and always find this water a great challenge. Despite being a small water, Badgers Holt still holds some truly magnificent carp. Situated in the limousin region of France the lake is set in a quiet valley near the town of Coussac-Bonneval. It is fed by a stream with very high water quality which ensures the fish are in excellent condition. When you are lucky enough to catch here you can be sure of a good fight and you will also need all your expertise to outsmart these well established carp. However the rewards will be all the greater for your effort and time. The lake is around 2.5 acres with two swims that provide you access to the entire lake .The swims are very comfortable with a chalet located behind your swim which includes shower, toilet and cooking facilities . At night time the swims can be very dark but when there is a full moon it can be as bright as daylight. 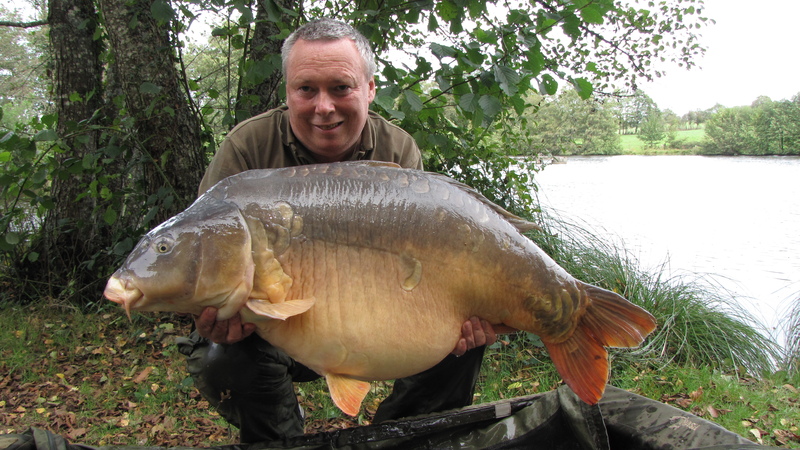 The lake has very sensible rules that are there to protect the large carp that live in the lake. Only two anglers are allowed on the lake at any one time with three rods permitted. This creates ideal peaceful conditions that are just perfect for catching these type of specimens. And at Badgers Holt they really are specimen fish as you will be unlucky to catch a twenty as most fish are over 40 pounds and up to 70 plus. As always preparation is important and you should never just leave everything to chance. Before a trip I like to research how the lake has been fishing. I do this either through Facebook or the lakes website and take note on which fish have recently come out, the time of the catch and the weather conditions. Simon, the lake owner is always very helpful and can provide you with up to date information as well. The more you can find out at this stage the better as you will then be in a position to plan your tactics for the week. I personally am happy to fish either swims as both have great spots where I would be happy to place a bait. The carp here are also unafraid to show, either by jumping or fizzing when they are feeding, so you will easily detect their positions. Fish can be caught anywhere but a few favourites are the shallows, Koi corner, around the monk and off the dam wall. Keeping the bait going in on a regular basis will get the carp feeding, especially early on in the season after the lake has been closed all winter. Good quality bait will also catch you more carp as they do have their own preferences. 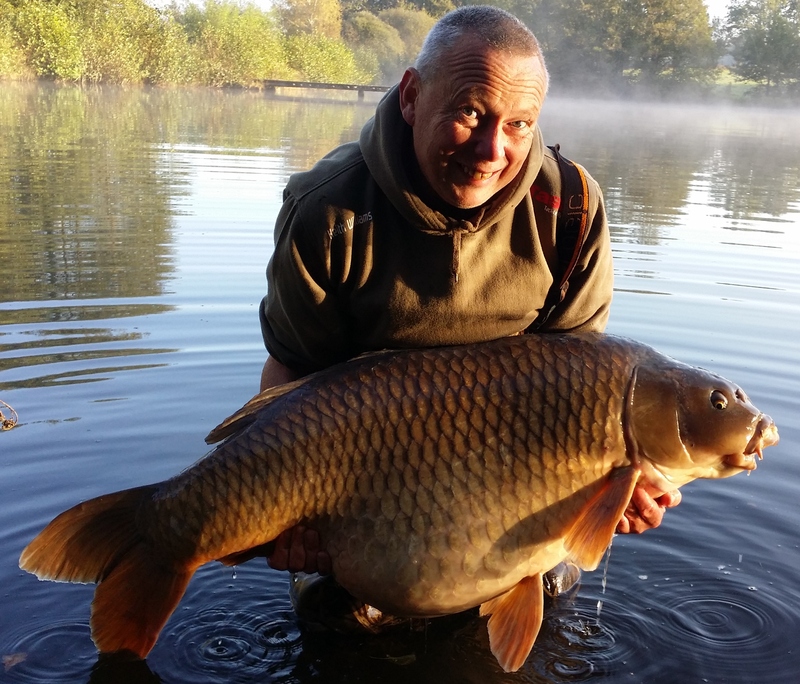 It is vital to carefully consider your tactics when planning to fish a particular water as I would fish it totally different in the spring or when the carp are spawning to other times of year. The general pattern is that for first 8 weeks of the season the fish will be eager to feed due to a long rest and the gradually rising temperatures. There will be a couple of weeks that the carp will lose any suspicions and they will feed with total confidence. 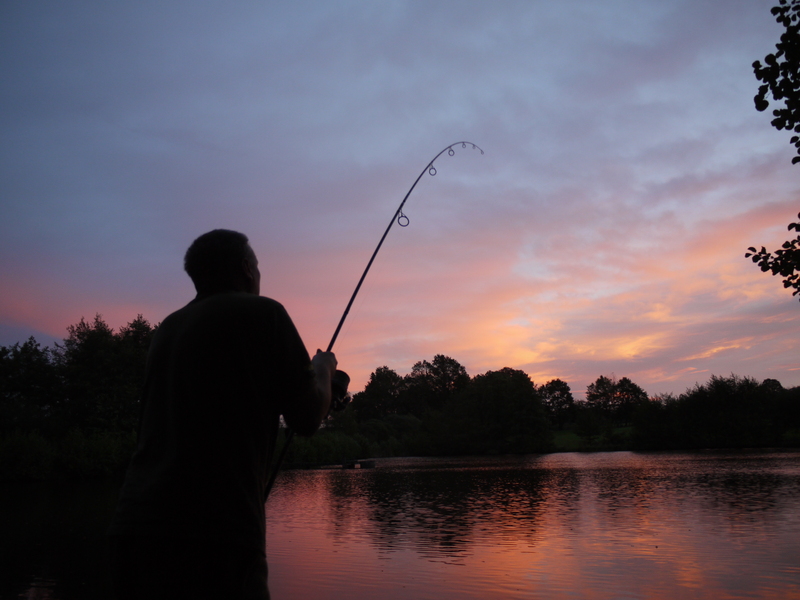 This is the time to get your approach right and capitalise on the fish’s complacency. In this situation keep feeding heavily with quality boilies and pellet and ensure your rigs are correctly balanced. With regards to rigs, in open water, I have found the blowback rigs most productive. These are made using size 6 to 4 hooks on a 6 to 8 inch hook link, fished semi fixed with a heavy lead. When fishing the shallows or in the margins I have also found that popups really work well. Baiting correctly can be a bit tricky but patience is vital to get it just right. When I arrive I never put baits out till hour before dark and watch the behaviour of the carp. This gives the fish freedom to clear up old bait with no lines so they will be quicker to get on the bait I am introducing. It is also worth taking note of what has been happening previously to avoid spooking the carp and keeping them confident. Don’t be afraid to put bait in and leave areas to rest as this will allow the carp to move in and start feeding. Whilst you are waiting this is a good time to have a good look round and find other spots around the margins of the lake that might prove useful. If possible I try to do this between 2pm and 5pm each day. You could also use the time to check out the lakes Facebook page and see how other anglers have approached the water week before. . You may be following anglers that have been putting in a lot of bait and caught well . Don’t be discouraged if in this situation you don’t have instant success, it may take time for the fish to appreciate the different feed your using. By the same token avoid reading too much into reports of other angler’s failure they may have been making mistakes and conditions change on a daily basis. In autumn you will need even greater patience as I find I sometimes need to leave my baits out for 24 to 48 hours before a take. This is because the carp have now had everything thrown at them and are a lot more spooky but gradually the natural food will start to decrease so if you use a really good bait you will still catch. The fish however will soon learn if you present a poor rig. I have often seen anglers frustrated as they watch carp fizzing over their areas without getting a single touch. This is when you need to make adjustments to your rigs. You will also need to change areas even when you are catching as most spots tend to have productive periods of about 48 hours followed by a quiet spell . This is when you need to put a rig in an area you have been baiting for a few days. Last of all don’t neglect the area just a rod lengths out.